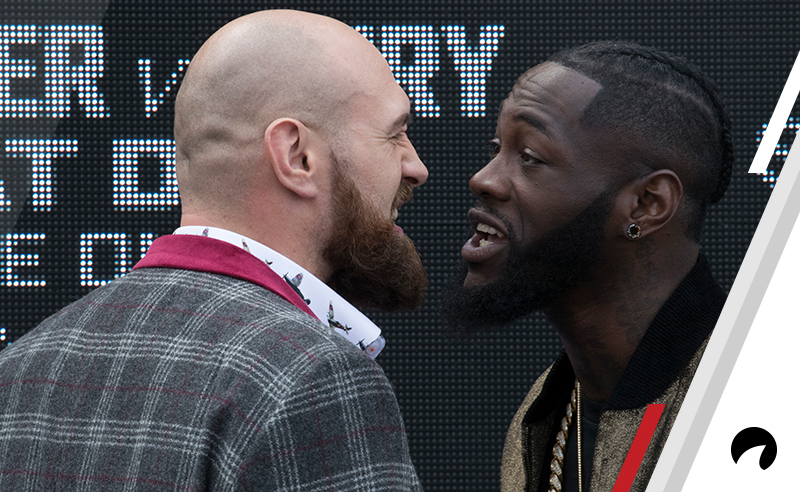 Tyson “The Gypsy King” Fury and Deontay “The Bronze Bomber” Wilder are teaming up, so to speak, to give boxing fans the heavyweight fight of their dreams. Wilder vs Fury will be one of the hottest matches of the year giving bettors around the world a chance to wager on a fight that’s going to be equal parts entertaining and nail-biting. This page will show you where to bet on Wilder vs Fury. Besides giving you a list of top sportsbooks to bet on boxing, we’ll help you understand how to read Wilder vs Fury odds. The sportsbooks we recommend are industry-leading sports betting sites that you can count on. We’ve compiled a list of the best sportsbooks to bet on Wilder vs Fury and sorted them out by region. To find out which sportsbooks are good for your boxing betting needs, select your area from the list below. This means that Deontay Wilder is the favorite and Tyson Fury is the underdog. Favorites are always shown with the minus sign (-) and underdogs always have the plus sign (+). Let’s say you have $50 you want to lay down on Tyson Fury. If Fury wins, you’d get a payout of $122.50 – your original $50 would be returned along with your winnings of $72.50. Conversely, a $50 winning bet on Deontay Wilder would give you a payout of $78.57 – your original $50 comes back to you along with winnings of $28.57. Our Odds Calculator can help you determine how much you would win based on the amount you wish to bet. Detailed Wilder vs Fury predictions can be found here. Our expert breaks down the fight, complete with odds, advanced analysis and free picks. For an in-depth tutorial of how to bet on Wilder vs Fury, visit our How to Bet on Boxing page. We explain basic odds and betting options giving you an idea of how to make a smart wager on the moneyline, a method of victory bet or a total rounds wager.